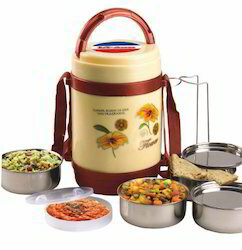 We have been manufacturing and exporting a variety of Tiffin Box. Manufacturer and supplier of Multi Colored Steel Tiffins available in various colors and of best quality. We are emerged in offering premium quality Insulated Lunch Boxes. - Usage: Schools, office, etc. 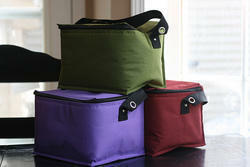 Carry your lunch in style with a premium quality 4 pieces lunch box with a insulated bag. Best lunch box for the your office n school.